Here is the log files. After reading the file there is nothing on the previous log file to look at. @Karellen so I did and that does not help. I’m finding Kodi way to difficult. Sorry that did not work. Your questions are not something I can help with. Is it just this section you are having problems with? What other areas are you finding "difficult"? (2019-02-05, 05:26)EventPhotoMan Wrote: How can I forward the old log? ronie explained that in the previous post. Enable that setting in the add-on settings for that add-on. Then upload the first log, then you will be asked to upload the 'Old log". Answer yes, and provide the address here. It never asked me to upload the second log file. 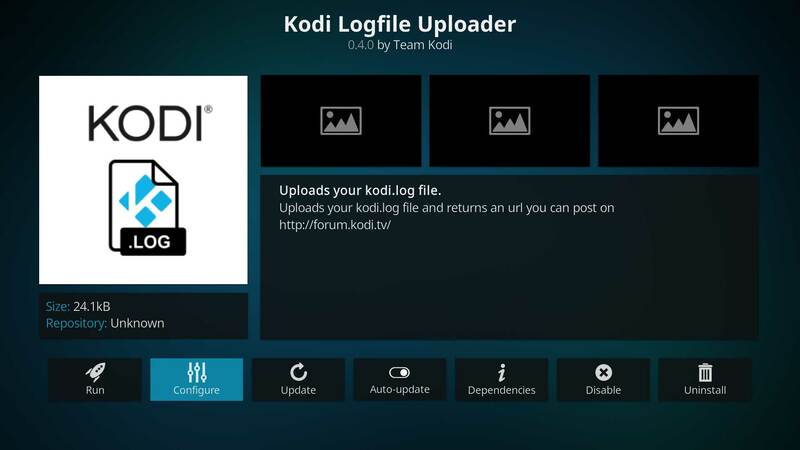 (2019-02-05, 05:26)EventPhotoMan Wrote: But the Kodi app crashed again tonight. So Re starting starts anew log I believe. How can I forward the old log? 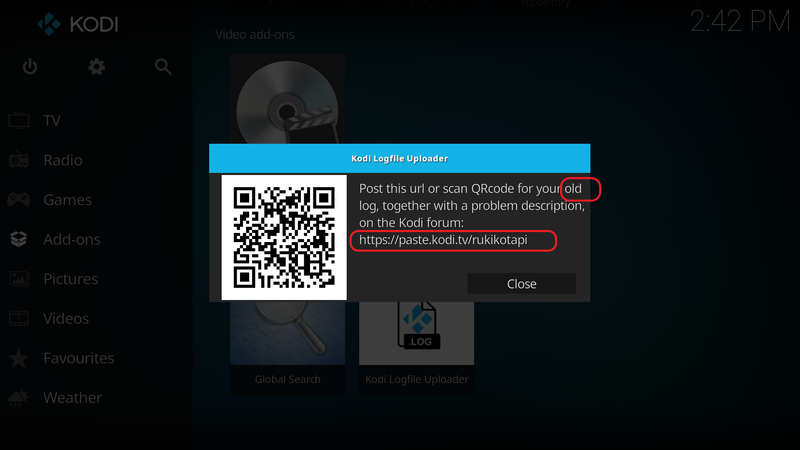 Using the Kodi Log Uploader, you need to enable Old Log in the settings page for the add-on. Then enable the first option. Make sure you press OK to save the change. Don't just hit esc on the keyboard as this will cancel. 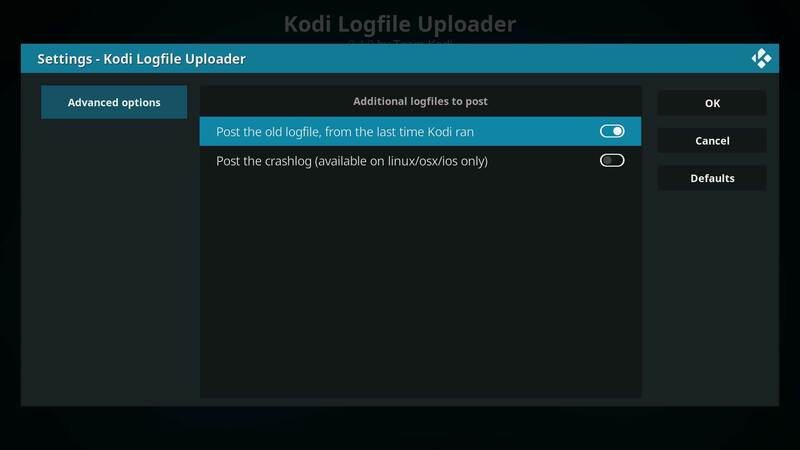 Next time Kodi crashes, use the log uploader. 7. Post the address of the old log here. Unfortunately you did not enable Debug Mode in Settings>System Settings>Logging. There is little for us to see. Try again with the setting enabled? So you mean these don’t work? When logging, I get more information on the screen in the top left that make navigating difficult. It’s slow going this debugging. It takes almost two hours or mor just to do a watch dog check. (2019-02-12, 07:44)EventPhotoMan Wrote: It’s slow going this debugging. I am not really understanding what is taking so long. I am guessing you are doing something extra that we don't know about. It really is a simple as running Kodi until it crashes. Finding the log and pasting it at the paste site. Should take less than 5 minutes. I don't know what a watch dog check is and what is taking 2 hours. FYI, debugging is still not enabled. Are you enabling that setting? Do you have "Show EXIF picture information" enabled? if so have you tried disabling it?